Your sleeping environment has a significant impact on your quality of sleep. 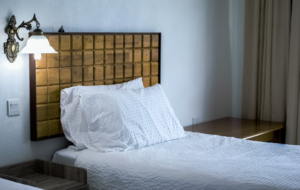 Making sure your bedroom is conducive to sleep can improve your quality of rest— slight changes like the temperature of your bedroom can make all the difference. Finding the best temperature for sleeping can help you fall asleep faster and stay asleep longer. Keeping your room at a cool 60 degrees year-round may seem impossible with the costs of air conditioning. If you want to avoid a hefty bill, running floor or ceiling fans can promote a cool sleeping environment. Be sure to adjust the ceiling fan rotation to counter-clockwise; this will lift hot air up and out of the room instead of just blowing it around. Turn off the lights: Light bulbs give off heat. 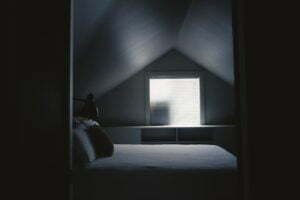 Keeping the lights off in your bedroom will help keep your bedroom cool throughout the day. Use low thread count, cotton sheets: Cotton is breathable and lighter than other materials such as silk or polyester. Additionally, making sure your sheets are a light color and low thread count ensures they won’t trap heat. Use less bedding: If you have a warmer bedroom we recommend ditching a heavy comforter and sleeping with sheets. Taking a warm bath or shower before bed helps your body temperature adjust. While showering, your temperature will jump, but as soon as you leave the shower, your body temperature will begin to drop. While your body temperature steadily drops, melatonin production begins, readying your body for sleep. 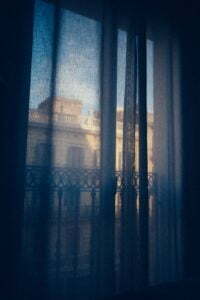 Invest in blackout curtains: Blackout curtains not only help keep light out, but they promote a cool environment by preventing the morning sun from coming in. Creating a cool sleeping environment expedites melatonin production to aid in falling asleep, but maintaining a cool temperature throughout the night helps you stay asleep. To keep the temperature consistent, we recommend keeping the windows and blinds in your bedroom closed. 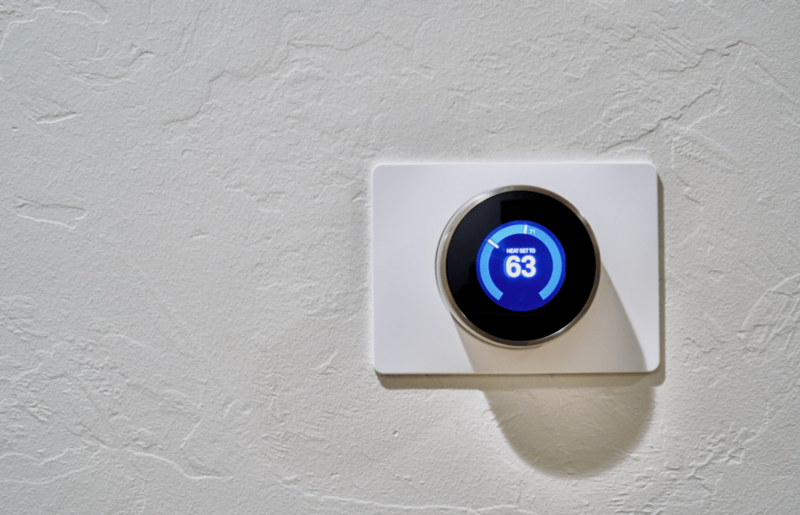 Fluctuating temperatures outside can cause the temperatures in your room to shift as well. REM sleep is the last stage in the sleep cycle, commonly known as the dreaming stage. When you sleep, your body goes through four phases of sleep. First, your body enters into Stage 1 of the sleep cycle. During this stage, you’re becoming drowsy, your brain and muscles relax, and your brain activity slows— this is the lightest stage of sleep. Stage 3 is the first stage of deep sleep. This stage is considered the most restorative, and its brain activity is defined by slow delta waves. When the temperature in your room is not conducive for sleep, it can cause you to repeatedly wake up throughout the night, preventing you from entering into more restorative sleep stages such as Stage 3 and REM sleep. Being deprived of restorative sleep can negatively impact both cognitive and physical health. The temperature of your bedroom can make or break your quality of sleep. If you don’t have it just right, it can cause you to wake up too hot or too cold. Interrupted sleep can wreak havoc on mental and physical processes, preventing your body from getting the restorative sleep it needs to ready itself for a new day. Keep temperatures cool by adjusting the AC or strategically setting up some fans in your bedroom. We recommend practicing good sleep hygiene and keeping a sleep journal. Documenting your sleep environment, when you fall asleep, how frequently you wake up, and how rested you feel upon waking up will help you keep track of your quality of sleep and pinpoint areas for improvement.